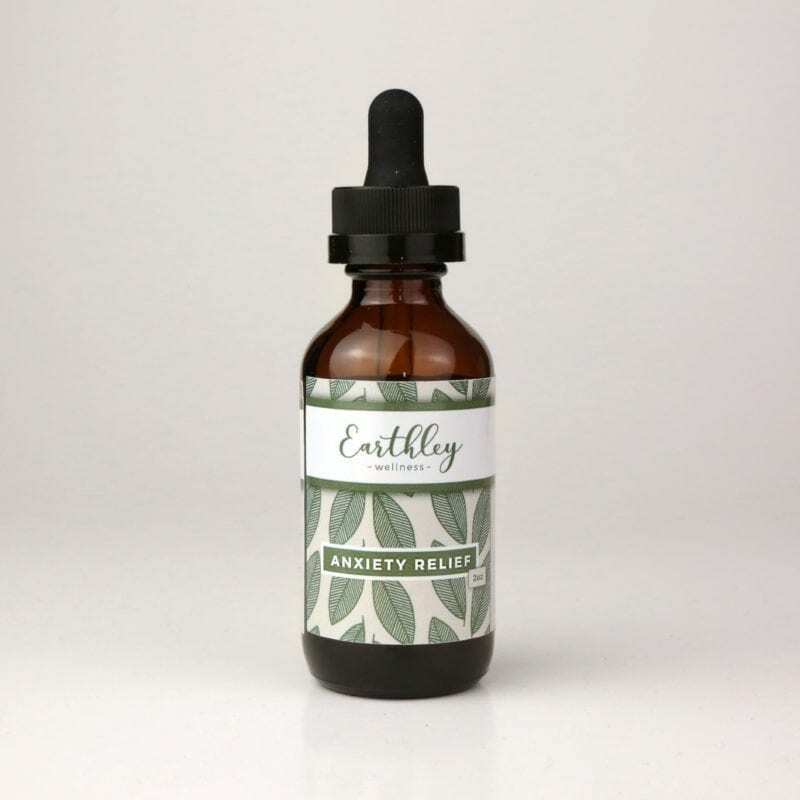 Too many adults these days deal with the symptoms of anxiety, and need some anxiety relief! Why not choose something natural, that really works? We’ve created a new, herbal formula that actually helps to relieve anxiety symptoms naturally, without the nasty side effects of more traditional options. Imagine feeling calm and happy, without drowsiness or other not-so-fun symptoms! St. John’s Wort has a long history of use for anxiety and depression symptoms in people of all ages. We’ve paired this with ashwagandha, an herb that is known as an adaptogen. We also added chamomile (mild sedative and promotes relaxation), catnip (rich in B vitamins and a mild sedative) and lavender (known for calming effects). Be careful if you are taking any medications; see the “safety” tab for more information. Breathe a sigh of relief…truly natural help is here! Shelf Life: 2 years. Safe for kids 6 and up. Not to be used in pregnancy unless under the direction of a qualified herbalist. May interact with some types of prescription medication; talk to your doctor before use. I take this every day and the 3 days that I have missed I absolutely notice a difference. This works excellent! The flavor is not my favorite but with how well it works it is so very worth it. It seems to help keep my anxiety at bay. I take this and magnesium/calcium and am a different person! Love this stuff! I feel the results pretty much immediately, and am much calmer and more focused. Will be buying again. I was so hesitant about this especially because I went for the big bottle…but really have had the blues and just easily overwhelmed lately…I can totally tell a difference! The days I remember to use this I have snapped out of my funk! Forgot it one day and realized when telling my husband it was such a rough day. It doesn’t taste awesome so I dilute with water or throw it in hot water with a little honey and lemon to start the morning. I’ve noticed I feel on top of things and am more patient with my kids…more productive and happy to make time for play. I end the days proud of what’s done instead and energy to put into dinner instead of half asleep on the couch turning cartoons on for kids. I’m about 5 days in so hopefully not coincidental or placebo effect but after skipping that one day I really don’t think so! I wish I could give this 20 stars. When I started taking it I wasn’t sure it would even do much because I’ve never had much luck with any natural remedies and my anxiety. After taking it morning and night for a couple months my anxiety is practically gone. I’m sleeping 7 hours straight which is unheard of for me. It’s really made me realize how bad my anxiety was and that I forgot what it feels like to live without anxiety. So thank you for making this amazing product! Full disclosure, I’ve only used this once so far, but I am amazed at how much of a difference it made, as quickly as it did. Circumstances are a little different than usual here, my 2 young children and I are all battling with one of the worst seasonal illnesses we’ve had so far (landing us in the ER and having to get breathing treatments, not fun at all!) And then Mama has the Pre-K boy at home (huge props to you homeschooling Mamas, you’re the real MVP!!!) and between not being able to catch my breath, my 2 babies being too sick to really do anything but too bored to stay still, my nerves have been absolutely shot the last few days (I also work the night shift, and with everything else, sleep doesn’t happen, so I know that adds to the problem!) So this morning, after sitting and shaking and no idea what to do, I remembered I had recently gotten the Anxiety Relief tincture, and it was time to try it out. Placebo effect aside (yes, I feel better when I know I’m about to feel better) within 10 minutes I started to feel my muscles relax and my brain stop racing. I felt an almost immediate sense of relief, and it was so nice to be able to see the end of it. I have dealt with anxiety and depression my entire adult life, and most of my childhood as well, and I can honestly say that this is the first thing I have taken that I actually felt GOOD about taking, that actually relieved my symptoms (oh, and did I mention FASTER than anything I could have gotten from the pharmacy?) I will definitely continue to use this to get relief, I’m glad I found it!!!!! I bought this for my husband, who has struggled with anxiety for many years. When he remembers to use it regularly, it makes a huge difference in how he is able to handle his day. I take this when I’m feeling very stressed dealing with a toddler and newborn. I have noticed it does help. And I take it before I sleep and it helps me calm my mind and get to sleep faster. My husband also takes it when he’s dealing with a lot of work stress. I’m not a huge fan of the taste, but I just shoot it down with a small amount of water and drink more water after. The last year has been terrible with huge stressors in my life, and my anxiety has been going haywire to the point that I’ve ended up in the ER because it destroyed my adrenals. I started taking this, and I am able to function again. The anxiety doesn’t control my nights and I can actually relax and fall asleep when I take this. It’s amazing! Our 5yo son has autism and PANDAS. We got this for him for our airplane trip. It’s really good at taking the edge off. I wasn’t expecting it to cure him, but it was nice to just bring him down a notch. This stuff works! My anxiety is so bad sometimes, I’m glad I found this to take the edge off!! The quality of Earthleys products is immediately apparent, and each one I’ve tried has been great! Anxiety Relief has worked wonders for my postpartum anxiety. I take it every day and notice when I forgot. I’ve also given this to my 7 year old who suffers from anxiety and it helps her immensely!